Shetland Rugs. A pile so deep and luxurious, Shetland will spoil feet with the textured depths of pure wool. Shetland rugs are hand knotted in India, the pile is 100% pure wool. 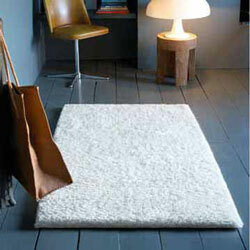 This is a heavy weight handmade shaggy rug with a thick dense pile, super quality and very hard wearing. Shetland rugs are stocked in large sizes and can be custom made to your required size.